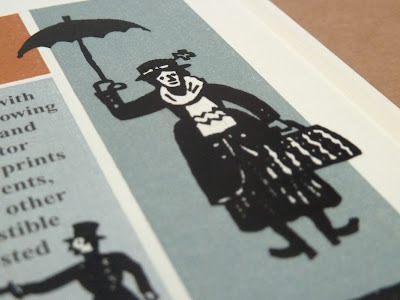 I first encountered the work of linocut artist and illustrator Christopher Brown at a St Judes exhibition where his enchanting little thumbnail images of humorous characters caught my eye. 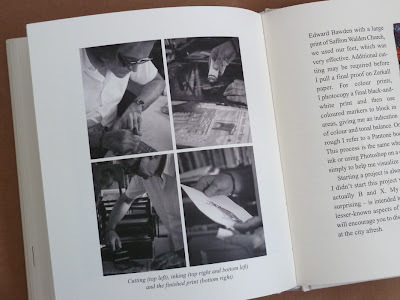 I also heard him talk entertainingly about his mentor, the great Edward Bawden, at St Bride Library in 2010. He had many anecdotes which he told with the aplomb of a seasoned racconteur. 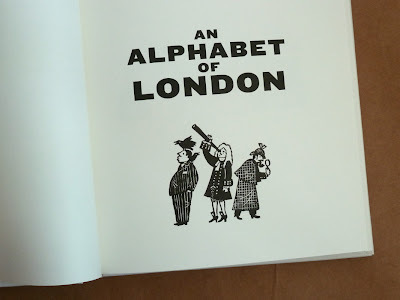 This knack for recalling past experiences and rendering them entertaining and universally appealing is what makes An Alphabet of London such a special little book. Anyone who has lived in our great metropolis will feel a connection to the city – their city – with favourite haunts, stomping ground and cultural destinations. Each individual Londoner’s idea of the city is different, but it is this feeling of a strong connection to the place which acts as a common ground despite its melting pot of cultural backgrounds. Christopher Brown has been a Londoner his whole life. 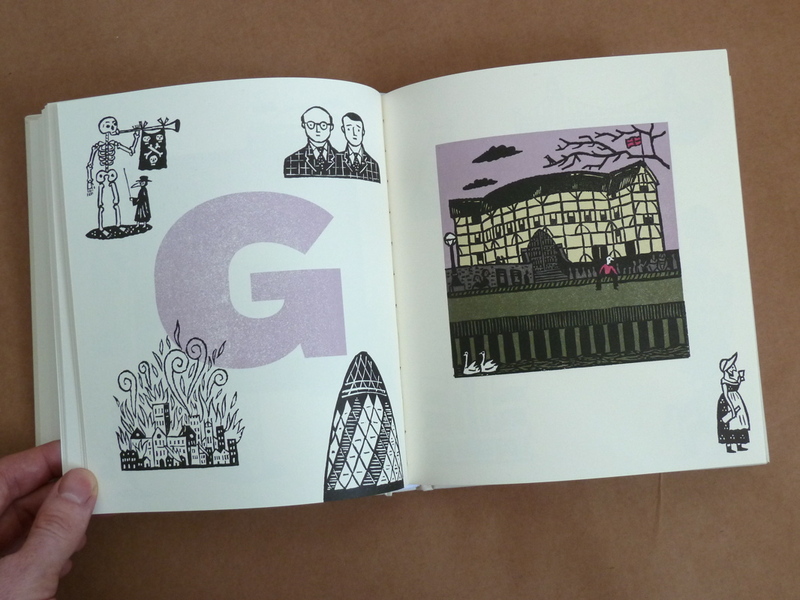 His take on the city is laid out for us in this book, in an alphabetic journey full of visual gems. In his introductory text Brown describes a city of cab drivers (both his father and grandfather were ‘cabmen’), trips up west and visits to Petticoat Lane market with his formidable grandmother. All of which are alien to me but resonate because I have my own special memories of other places. 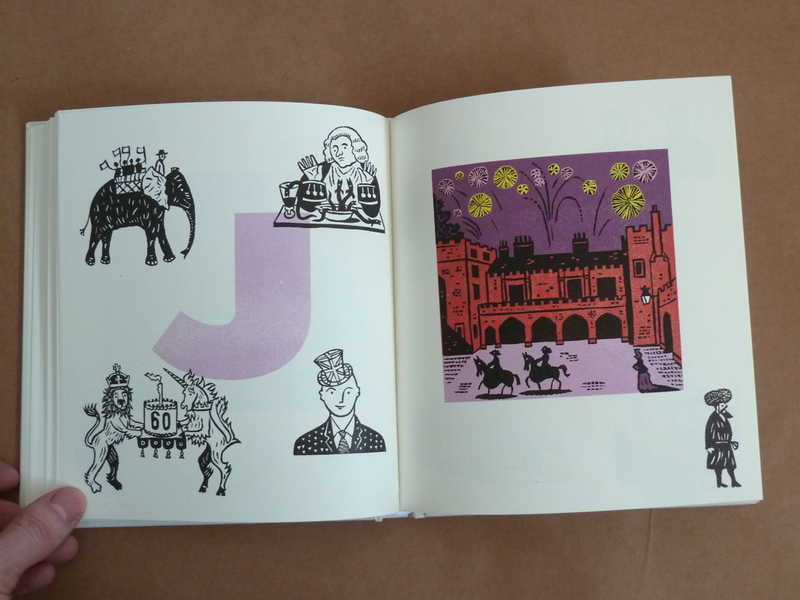 It is in the rich variety of images that An Alphabet of London really comes alive. Each letter of the alphabet is represented by a colourful building or street location. 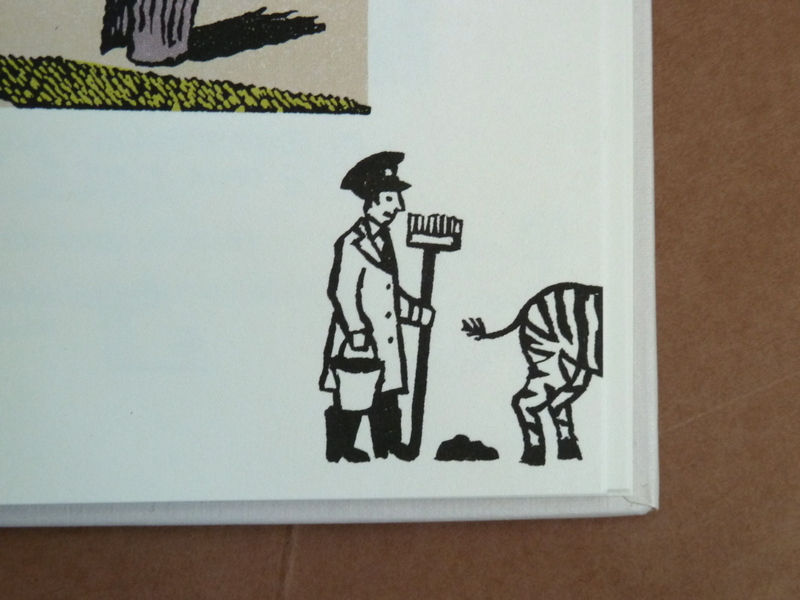 Alongside these are many delightful little black and white linocuts of characters, animals, scenes from history and artifacts from museums. These images were collected during carefully planned research expeditions, the drawings made on the spot and the designs refined during the linocut process. Each page of An Alphabet of London can be read like a visual brainteaser, with the individual images to be identified from the letter of the alphabet. Christopher Brown’s sense of humour and playful designs transform what could could have been a dry educational book into a fun game. V is represented not just by Queen Victoria, but by a rather jollier version than usual, driving a vintage car. Some of the images are easily identifiable, others you will recognise purely by chance. Luckily there is a discreet index in the back of the book with explanations of all the references. Christopher Brown is a linocut artist, like me, who likes to promote linocut as an artistic medium. To this end there is a short section at the back of the book about his process, with photographs of the different stages of transferring the drawing to the block, carving and printing. 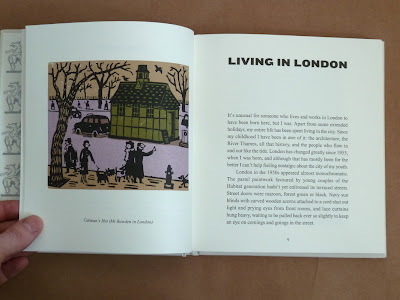 His prints are beautifully reproduced throughout, with lovely details like cropped body parts coming in from the edge of the page, endpapers printed in silver and block printed images on the cover. Even the letters of the alphabet are cut out of scanned textures from printed linoleum. I love that you have included contemporary figures like Grayson Perry and Amy Winehouse. Were you tempted to put yourself in one of the street scenes? Of course, but I resisted. I felt there was enough of me in the work itself, besides which London is the star of the book. There is however a photo of me aged about 6 or 7 drawing crossed legged on a chair in our garden in Putney. What was I drawing I wonder? Were there any linocuts you made for the book that didn’t make the final edit? There were certainly some ideas that were roughed out that weren’t cut. I was very fond of Freud with a feral fox being psychoanalysed on his couch. Also Gog and Magog and King Lud never appeared which I regret but I just couldn’t squeeze them in. Edward Bawden also made series of linocuts of London (London markets and London monuments). Were you inspired by these? Yes, Edward has always been an inspiration ever since I met him when I was at the RCA. After all he gave me my first lino to “play” with. I wish my cuts were as wonderful as his but I think in this book I may have done some work that he would have complimented me on. He was very honest with his criticism and I would often be rather ashamed at showing him my poor efforts. His great friend and my tutor at the RCA, Sheila Robinson, (Chloe Cheese’s mother) was also someone whose opinion on my work I took seriously. The markets are a great series, what inspires me about his work is the element of humour, even within these prints which are wonderful architectural images there is some character which makes one smile. 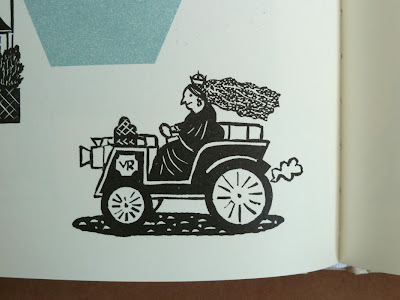 Well spotted, the Great Fire image is my version of an old wood cut. Like any illustrator my work has been influenced by many. Chapbooks obviously, Joseph Crawhall, (who Edward introduced me to) Herge; look at some of my colours – they could be out of one of the Tintin series. One would also have to say medieval art, the illuminated books, wood carvings in churches. I’m sure there are others but I believe in this book I’ve achieved pure Christopher Brown. Over the years I’ve done a lot of prints, (as the boxes containing them prove) and have been proud of some of the cuts but I believe An Alphabet of London is my best work. Some of the images I may have reworked, though certainly not the colour plates. The paper and ink you used for the book have a richness of quality that mimics the original linocuts. Can you tell us how you achieved this? Was it hard to persuade the publishers to use expensive paper?! In this I’ve been aided by a wonderful art director, Nicola Bailey and production team at Merrell. Nicola was as fussy as me so we made a good team. 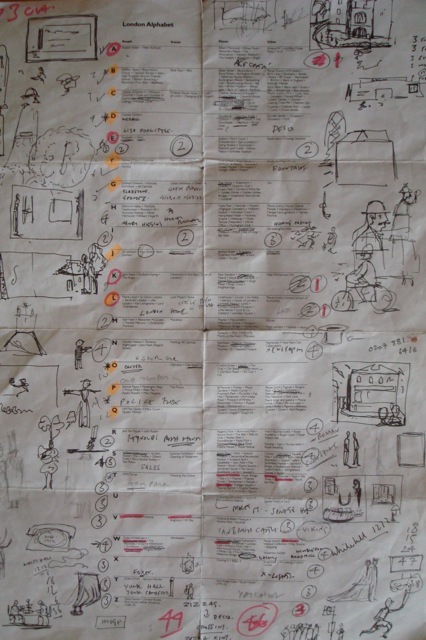 At each stage of production I was included and I approved their choices, the paper is near to the paper I use to print on. So the final product is as near as possible to a book of original cuts but so much cheaper! You could tear out a colour page and put it behind glass and I don’t think I could tell that it wasn’t an original. That’s after all what happened to most of the High Street books by Ravilious! 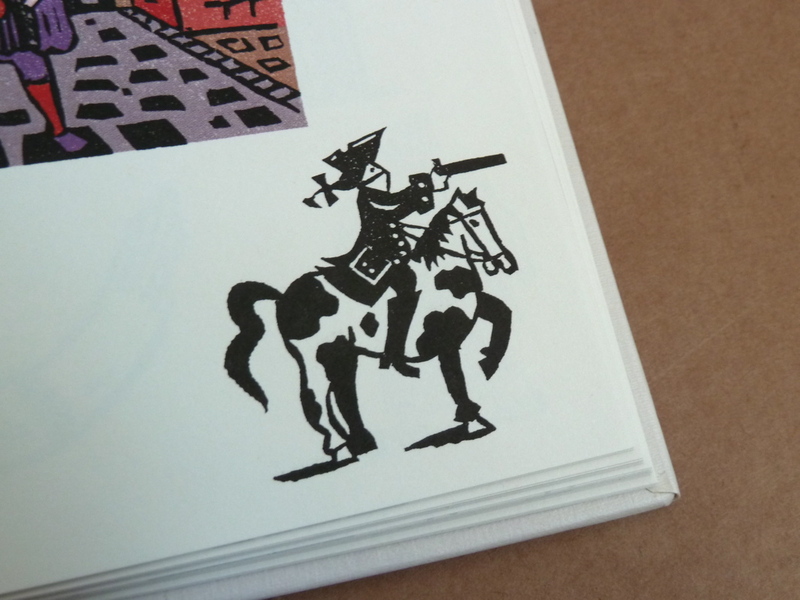 Will any of the original linocuts in the book be available to buy? Yes, any of the black and white prints. The colour prints I’m considering best how to do those only the black exists as a block. I had only four and half months to complete the book, so it would have been impossible to cut and print 26 colour images. There may well be some products – now read on as they say. What lino do you use? Has it changed over the years? Yes, it was flooring lino which I used to buy with Edward from a hardware store in Saffron Walden. I used to return from a visit to him with a huge roll tucked under my arm. Then, there was a point when the colour changed from brown to grey. I hated that! Now however I’m rather fond of the grey lino, it’s so much easier to cut – none of that trying to soften it up on the radiator or with a hair dryer, (that may have been partly because I lived in a very cold flat). I used to buy it from T.N. Lawrence when they were in Bleeding Heart Yard and when they moved to where Magma now is but now I walk to High Street Kensington to my friendly Cass Art. What brand of tools do you use? T. N. Lawrence. Apart from the usual v’s and u’s, I use some Japanese knives which sadly they don’t sell any more – heaven knows what will happen when they are ground down to nothing, maybe that’s when I’ll take up painting. Oil based. I’m not a fan of the water based inks. Again from Lawrence’s. 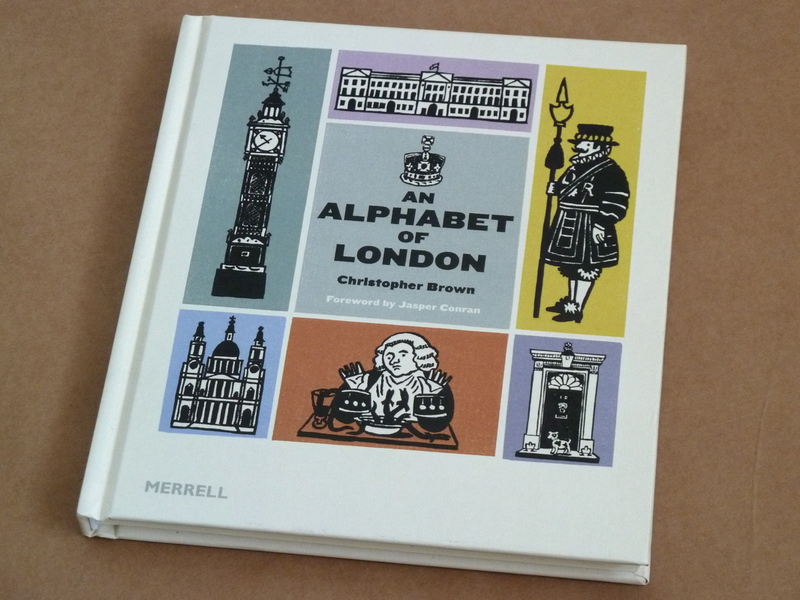 An Alphabet of London is published on 5th March 2012 by Merrell. Price £12.95 / $22.95 US. I cannot wait to get this, it looks brilliant! Can't believe it's so cheap! 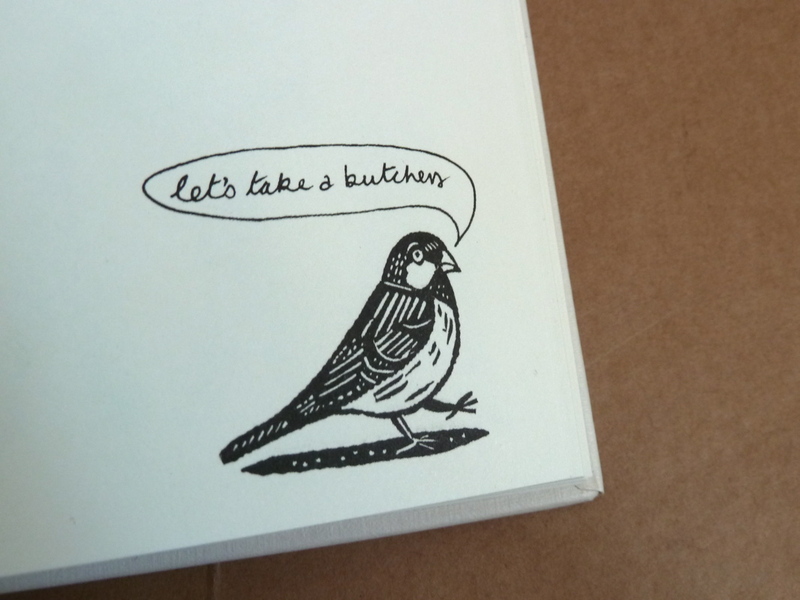 Damn you LinocutBoy – of course I had to buy it! at least it wasn't so expensive that the kids will have to eat beans and toast for a week – who am I kidding? I'd have bought it anyway! Thanks for sharing. Great post! I love the images that you featured from the book. 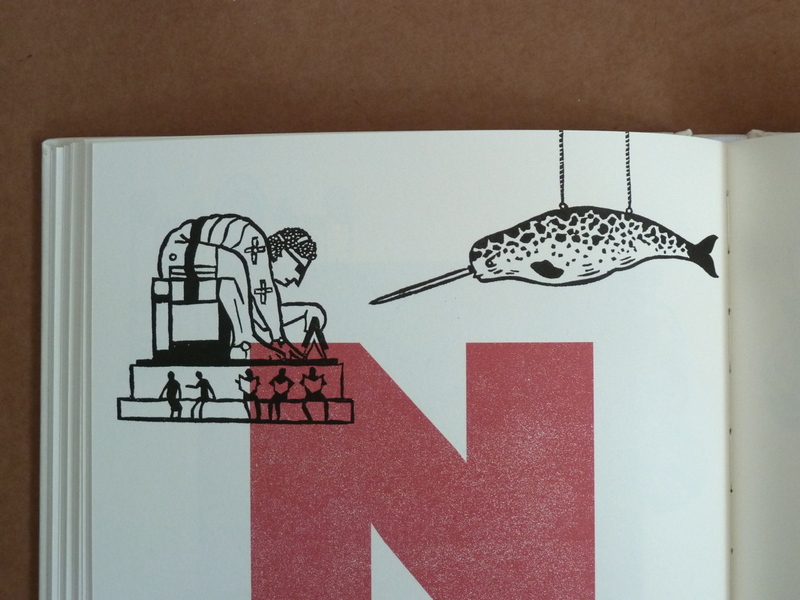 « Coming soon – bigger and better linocut exhibition!